After P comes R – because in the Croatian alphabet, there is no letter Q! Rakija, similar to Italian grappa, is made by distilling the remains of grapes after they have been pressed for wine-making. 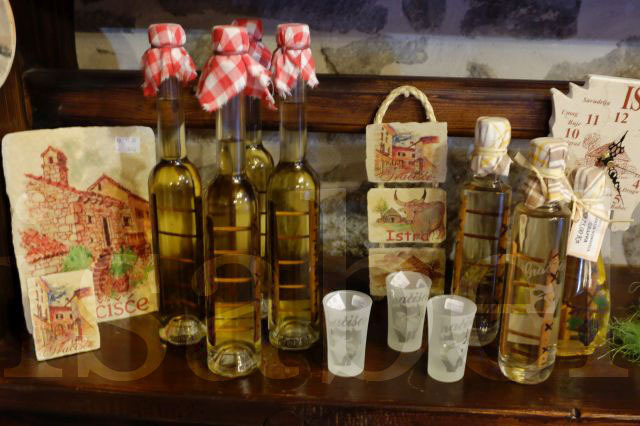 If you visit Istria, you're bound to be offered a small glass of rakija before a meal, after a meal, or to celebrate a special occasion. It's also believed to have medicinal and disinfectant properties. Rakija is often mixed with different plants and fruits (like mistletoe, honey, green walnuts, cherries) to produce flavoured versions. This is a traditional Istrian wind instrument (also called sopele) similar to an oboe (and to the South Indian nadaswaram!). It's always played in pairs, with each musician playing one of a different size so that two different tones are produced, which is typical to the characteristic Istrian musical scale (Istarska ljestvica).